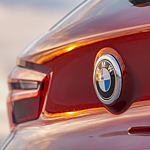 There have been plenty of SUVs introduced in the automotive market; however, when BMW decided to make its X model, the company made sure that it remained in its own lane of excellence, rather than following the status-quo. The result has been the X model becoming a very popular luxury SUV for buyers. The X model has combined spaciousness, dynamic power, and a distinctive design that sets it apart from other SUVs. BMW added an entirely new concept for an SUV. The X model is more comparable to being a "Sports Activity Vehicle." With its outstanding features, such as signature kidney grilles, aerodynamic designs, and the precise detail of intelligent engineering for engine performance, the X model is excellence at its best! Whether it's the best-in-class acceleration or the intelligent all-wheel drive system, the X model is truly unmatched and in a class of its own! Visit Germain BMW of Naples to take a test drive. We're located in Naples, FL!